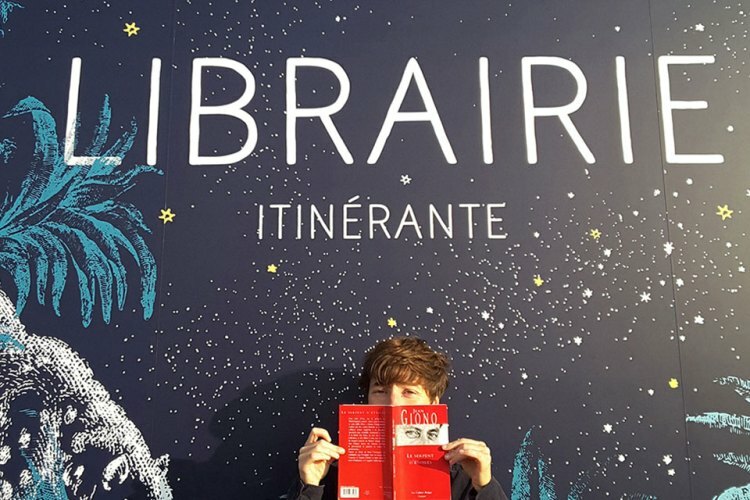 Margaux Segré gave up a comfortable civil service career with the French Ministry of Culture to pursue her dream of being a full-time bookseller. 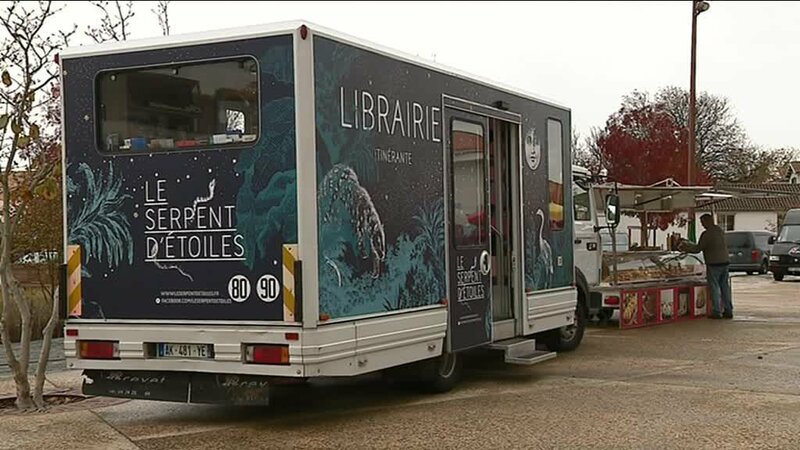 After crowdfunding the renovation of a delivery truck, she now roams southwestern France visiting village markets, book fairs, cultural events, schools, and festivals in a traveling bookshop called Le Serpent d’etoiles. Seems like the perfect life to me. 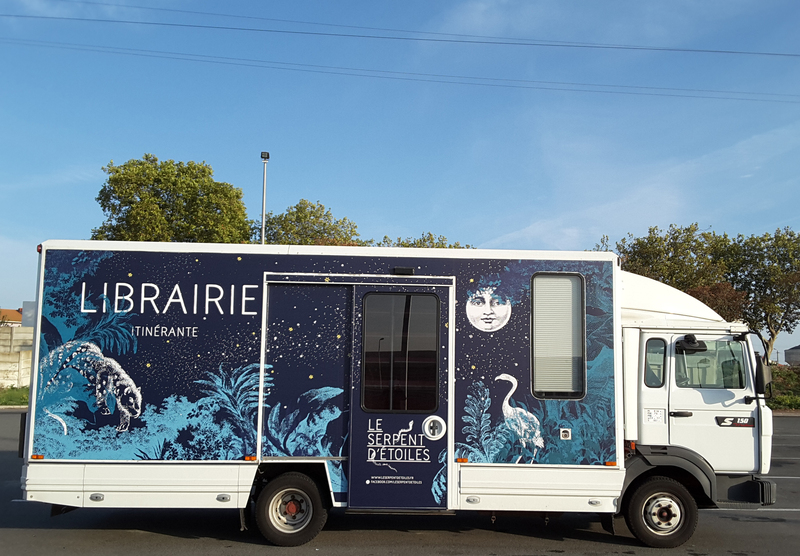 This entry was posted in Books, Bookstore Tourism, Europe and tagged Bookmobiles, Bookselling, Jean Giono. Bookmark the permalink.